CNN Philippines brings you the special coverage of President Aquino’s last State-of-the-Nation Address on July 27. The SONA sets the agenda for the next president, in light of what the Aquino Administration has achieved and failed to do. Anchor Jing Magsaysay leads the special coverage in the studio, featuring guest speakers who will discuss key points on honest governance, the economy, basic needs and services, foreign policies, and national security. Chief correspondent Pia Hontiveros reports the freshest updates from the House of Representatives, and interviews legislators, heads of different delegations, and other political personalities. CNN Philippines field reporters deployed all over the metro, will deliver other related news reports and traffic updates throughout the day. Tune in to CNN Philippines on July 27 at 2 p.m. to catch the SONA 2015 special coverage. 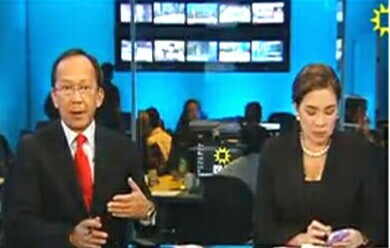 CNN Philippines is seen on free TV Manila RPN – TV9, Cebu RPN – TV9, Davao RPN – TV 9, Zamboanga RPN – TV5, Baguio RPN – TV12, Bacolod RPN – TV8; Cable TV thru Sky Cable – Channel 14 (Metro Manila), Sky Cable – Channel 6 (Cebu, Davao, Bacolod, Iloilo and Baguio), Destiny Cable – Channel 14, Cablelink – Channel 14, Cignal – Channel 10, Dream Cable – Channel 13.